What makes a person interesting? Can I predict your opinion? Yes? Then you’re not interesting. Let’s take an issue to start with: gay marriage. 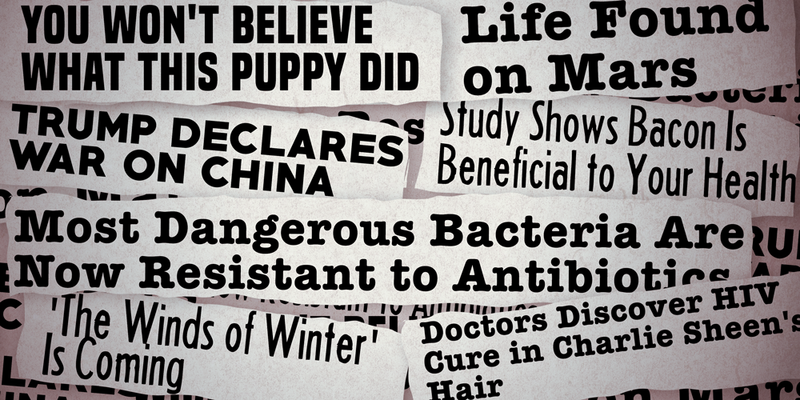 Now, these things are all very different issues. Some of them are moral questions, some political, some social. Some would reasonably require a lot of thought to come to a solid conclusion. And yet, with most people, just knowing their position on one of these things is a solid predictor of their opinions on the rest. Why should this be? I question how much anyone really understands the issues they have taken such a line on. Having a conversation with such a person is, for the most part fruitless and dull. It will inexorably end in subject changing, whataboutery and appeals to emotion, because they don’t understand enough about the issue. If their opinions are predictable, they are not interesting. The briefest trawl through Twitter will tell you this. Such people are not interested in listening, changing their mind, or accurately capturing their opponent’s position. Listening to some professional women’s rights activist sound off about gun control is painful, particularly when they come up against someone who knows the facts, the stats and can back up a pro-gun position. Similarly, watching a right wing businessman chat on about immigration or ‘the lies about climate change’ can be made to look idiotic by a scientist with a full grasp of the facts. You can tell instantly when a person clearly doesn’t read or even acknowledge anything on the opposing side. It’s painfully obvious when a Guardian reading Corbynista has never even seen the Telegraph, glanced at the Mail on Sunday or picked up a copy of the Spectator. It renders their arguments incomplete and turns them into an intensely vacuous shell. You’re not arguing the issue – you’re defending the tribe. I use an example from the Left here, simply because that’s what I experience most, and the Left is the side that claims dominion over fact, logic and reason. But if you can’t make your opponent’s case for them, you don’t understand it well enough. So how can you claim you understand yours? And where does yours come from? Some of this is understandable. A high level belief that ‘big government’ is bad and that individual freedom is paramount will inevitably lead to a grouping of some issues under the same banner, because any misgivings at that lower level would be overcome by an overarching principle, in much the same way that the US constitution overrules many smaller changes in law because it is the overarching agreement that American citizens have with one another. But what is really fascinating is when you come across a person whose views on some issues deviate from their home crowd. These people are much more interesting to listen to, because the only way they will have come to this deviant view is by thinking carefully and forming a solid conclusion. To express it in public would have required a complete conviction in their process and their argument. It’s exciting, because when somebody puts a question to them, you have no idea what their response might be. But whatever comes, it will surely be well reasoned. There are brilliant examples of these people from across the political spectrum. Liberals who voted Leave and vice versa is a good place to start looking. There are also shining examples of those dull, lifeless crowd followers all over the place as well. Think of Farage – I could probably predict his opinion on everything. Similarly with Owen Jones. What fashionable lefty cause has he not jumped all over and furrowed his brow in that sincere way while appearing authoritative about it? It’s just so boring. He gave a perfect example of what I’m talking about during the referendum campaign when he penned a piece putting forward the case for a ‘left wing Leave’. This lasted all of 5 minutes before he retreated back into his herd, now consistently sounding off against Leave voters and Brexit itself. Indeed, the whole tone of the piece should have foretold this. It opens with “at first, only a few dipped their toes in the water; then others, hesitantly, followed their lead, all the time looking at each other for reassurance.” Does this not show just how little he has really thought about it? He’s essentially saying ‘I’ll go if you go’. How courageous. Except the second he dipped his toe, he saw it was freezing and promptly wrapped himself in a towel. Thanks mate, the rest of us who swam out into the deep are so grateful for this bravery now that the sharks are devouring us. Hope it was worth it. True courage lies in expressing thoughts that you know full well will get you ostracised by your side. Others simply occupy their own space, not bothering to cultivate a base in a camp in the first place. I raise the example of Mr. Jones only because, having read his column for a while and getting bored of its predictability, I suddenly glimpsed a light shining through it. “This will get him into trouble – how exciting. How will he push through?” Alas, he didn’t, and his column has been as predictable as ever, ever since. It’s a real shame, because he is likeable, writes well and has a significant following. 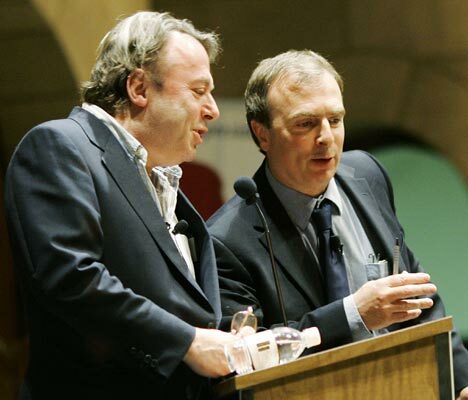 On the other side of things, let’s take the Hitchens brothers as an example. Christopher, the darling of the Left – Peter, the darling of the Right. Neither, when you really look, deserves the title, nor would they want it. Christopher, who sadly died in 2011, was one of the so called ‘Four horsemen of the Atheist apocalypse’ alongside Richard Dawkins, Daniel Dennett and Sam Harris (this was later expanded to be the 5 horsepeople, as Ayaan Hirsi Ali joined the group). He exploded into public consciousness with his book ‘God is not Great: How religion poisons everything’ and was a vicious polemicist against religion. He was adored by students, atheists and left wingers. But looking a little deeper, things aren’t as clear as they might be. He was an avid proponent of the Iraq War, never ever shying away from it. He blasted the Clintons (one of the most painful things about his death is not being able to see what he would have made of the 2016 presidential election), believed firmly in Israel’s right to exist (albeit with criticism of the Israeli government), thought that men should be the providers and breadwinners for their wives/partners and had serious reservations about abortion. His brother Peter has a similar style, yet finds himself on the opposite side of most things. As a Mail on Sunday columnist and self-declared Burkean Conservative, you may think you could predict him. He hates Tony Blair, strongly opposes drug legalisation, believes criminals should be punished with prison, would reinstate the death penalty if certain judicial criteria could be met, is a fervent Monarchist, opposes mass immigration and believes the UK should leave the EU. So how, then, does such a person also find more hatred for the Conservative Party than any other? David Cameron is a ‘slippery HR man’, Thatcher ‘overrated’. He would renationalise the railways ‘immediately’, did not vote in the referendum (indeed does not vote in elections), believes the UK should stay in the Single Market, that there should be a strong welfare state, that the Iraq War was a disaster (not difficult now, but opposed it when it was unfashionable to do so in media circles), that Trident is a ridiculous and out of date weapon that we should rid ourselves of and that Jeremy Corbyn is a good thing for the Labour Party. These are the kinds of people you always want on your side, but they can never predictably be so. Simon Jenkins, Germaine Greer, Sam Harris, Richard Dawkins, Douglas Murray (Matthew Parris recently said of him “[he] writes so well that when he is wrong he is dangerous.’) – these are the people you want to listen to. Not even necessarily to agree with them, but to see that they have thought clearly, express their view and sod the consequences. Some of the most interesting talks you can hear are broadsides against your firmly held beliefs, spoken by a heavyweight intellectual from the other side in firm and weighty tones. Who could fail to be stimulated by that? Dullards and cowards, that’s who. The greatest joy is meeting someone in the flesh who can argue against your view with rigour and persuasion. A small group of us had a wonderful knockabout during the referendum campaign, a time that I look back on as a period that sharpened my thinking, forced me to back up what I thought and, in some cases, change my mind. They argued passionately for their side, and they could very well see what motivated my side. Well, screw it. I think what I think. Come at me. Let’s have it out. I promise you – it will be more fun than you think.